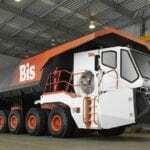 A Bis-designed and constructed mining haul truck has returned outstanding results from trials at Glencore’s Murrin Murrin nickel-cobalt mine in the north-eastern Goldfields in Western Australia. The dual powered 20-wheel dump truck, named Rexx, has more than four times the range of conventional dump trucks. It has outstanding manoeuvrability, operator comfort and maintainability in addition to on demand power that lowers fuel consumption. This range of features was designed specifically to deliver savings to Bis customers. Rexx’s testing at Murrin Murrin has been carried out in “real-life” operating conditions. 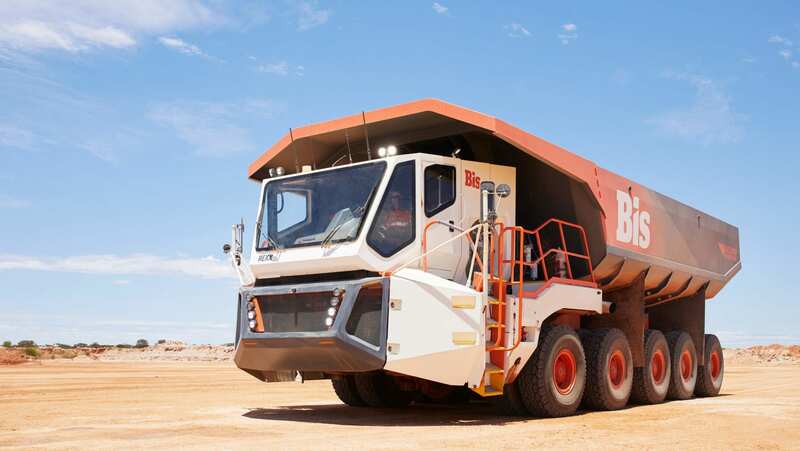 The results have indicated Rexx has the capacity to deliver up to a 30 per cent reduction in operating costs compared with conventional dump trucks. “At Bis, we are constantly searching for new ways to deliver safe, efficient and flexible solutions for customers, and in these trials Rexx has ticked all the boxes,” Bis chief executive Brad Rogers said. One area of the savings in haulage costs was average fuel use by Rexx, which was around half the fuel consumed by equivalent competing dump trucks. This is a direct consequence of Rexx being designed with on-demand power that lowers fuel consumption. The vehicle has the capacity to carry enough fuel for at least two 12-hour shifts, eliminating downtime needed for refuelling. Rexx was also designed in-house by the mining services company’s engineering team, while its construction was done by Western Australian tradespeople. “In Rexx, we have a game changing work horse that showcases Australian innovation,” Rogers said. The truck’s steering system is one example where it enables a turning circle of just 13.5 metres, allowing Rexx to manoeuvre easily in smaller spaces. Rexx has also been designed and built to be easily retrofitted for autonomous operations, with features including steering sensors, stability control sensors and a futuristic in-cab console. The console provides the operator with real-time data including pressure monitoring on all tyres and sensors for detecting bin tipping, engineering operation and payload. 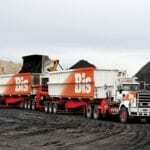 “We were thrilled to be involved with Bis on this exciting project. Outside of autonomous systems, there haven’t been many major fundamental design changes in the rigid-frame off-highway game in a long time,” Glencore’s mining manager at Murrin Murrin David Ayres said.